Dubai: The seventh edition of the World Government Summit saw a range of motivational speeches, interactive sessions and futuristic inventions. 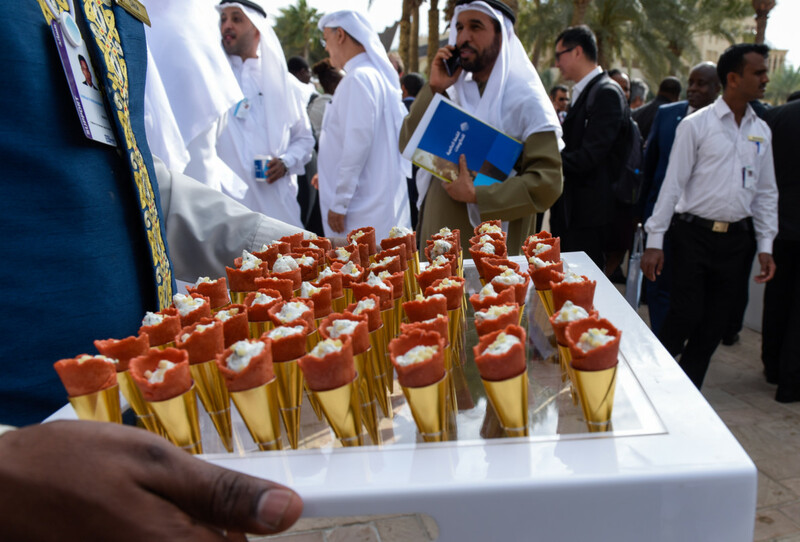 However, another memorable factor making noise among guests attending the grand event — is the mouthwatering food. The breakfast buffet kicked off the day with an array of fresh pastries, Danish pasties, and sweet custard pies. Guests arriving for the early morning sessions enjoyed a bite with a cup of coffee or fresh juice, before gearing up for the long day ahead. 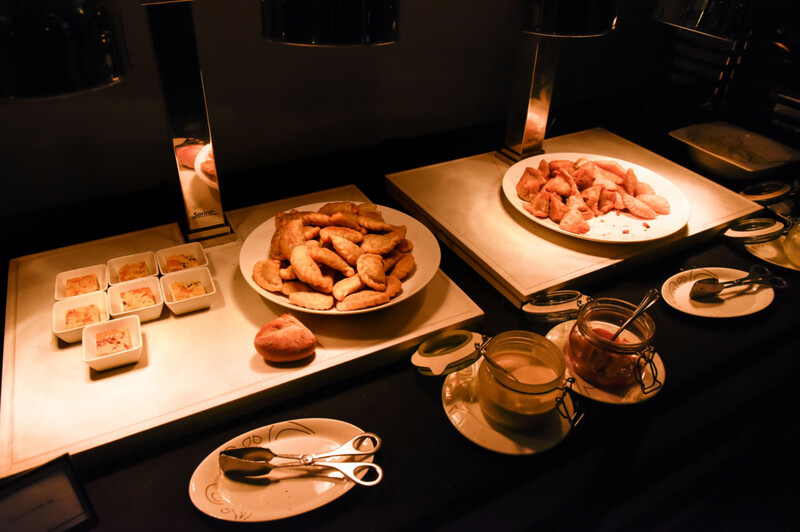 Finger foods, mini sandwiches and light snacks were constantly being refilled at the buffet, while several hot drinks stations were ready to serve freshly brewed cups of caffeine throughout the day. Fatima Mohammad, a guest at the summit, said she was highly impressed with the variety of food and unusual treats. 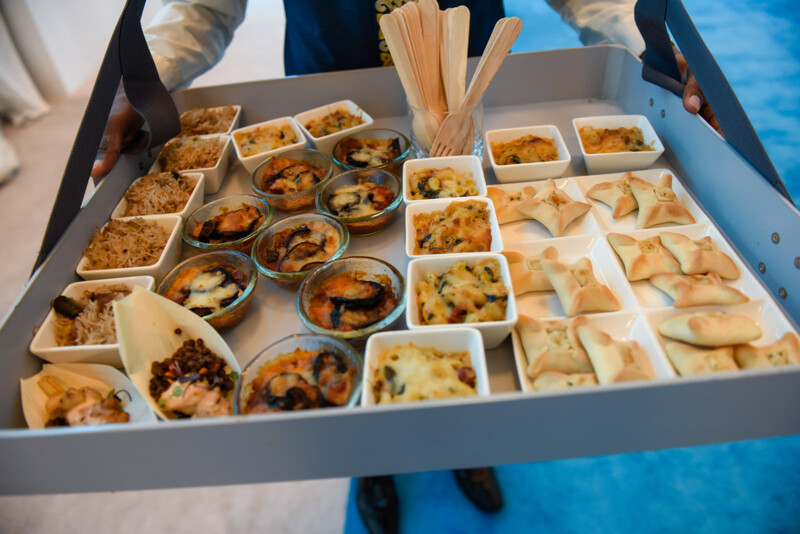 “I have been to many events here in the UAE that offered a high standard of buffets, but this event is definitely number one in serving delicious food all day long,” she said. Just the same, Mina Khalid, from Egypt, said having attended the summit three years in a row, the “food only seems to get better”. “This event is amazing because of the speakers that take part — but I have to say every year I cant help but mention how good the food is to everyone I know. I am especially a fan of the salad bar and the little treats they give out during the day,” she said. 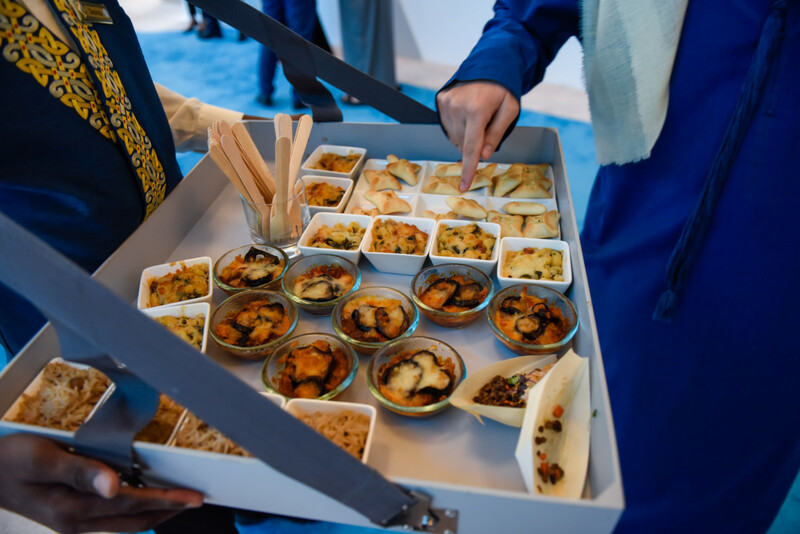 Like Khalid, if you were too busy to line up and grab some lunch, waiters with food baskets were constantly making rounds serving the lunch menu in small plates and cups with options such as healthy vegan salads, mini biryani pots, and even dumplings. Delicious treats circulated to guests also included apple crumble, labaneh-walnut cones and Japanese moishi ice cream. Hot coffee, lattes, and juices in take away cups were also distributed to busy guests on the go. All in all, guests at the event took away deep insights from the memorable sessions and remarkable speakers — with many thanks to the chef.